Gas Vs Electric Pressure Washer: Which One Should You Buy? Gas Vs. Electric Pressure Washer: Which One Should You Buy? 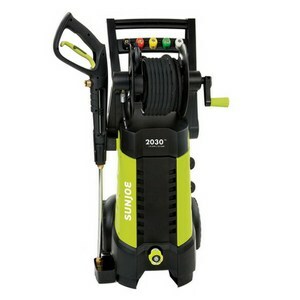 When it comes to pressure washers, many people are curious as to whether they need a gas or electric model, and indeed which type is better for specific tasks. Within this guide, we’ve looked into both types of washer in detail, so that we can guide you into choosing the most appropriate model for you and your needs. The below table compares some of the key selling points shared by both types of pressure washer. Depending on what you’re looking for, each type of model is a clear winner for certain categories, but not so ideal for others. 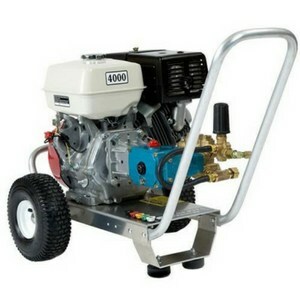 Gas pressure washers are normally commercial-spec, and therefore use very high-quality, durable components. These models usually use more inexpensive parts to maintain affordable price tags for home use. Though there are models with similar ratings to electric washers, gas models can go up to 2.5 GPM or more. These units usually feature GPM (Gallon Per Minute) ratings of around 1.4 to 1.5. Doesn’t require an AC mains power cord, but must routinely be refilled with gasoline and oil. Usually, these models are very heavy and cumbersome. Must maintain a connection to mains power, unless using a built-in battery. Otherwise, very lightweight and easy to move around. More expensive and varied. Anywhere from several hundred dollars to models in the thousands. Typically, these models are cheaper for the same spec. Anywhere from sub-$100 to several hundred dollars. To determine which product is the overall winner, we’ll look at a range of features that are common to both gas and electric pressure washers, as well as comparing which machine is more capable in each category. Though some models are better at certain tasks simply because you pay more, we will only consider the categories based on their own merit, and not the price tag. Based on this, you should be able to judge which machine is better suited to you and your needs. 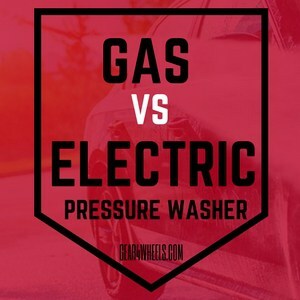 When it comes to the physical design and build quality of pressure washers, you'll always get a clear distinction between gas and electric pressure washers. Manufacturers of gas-powered pressure washers tend to focus on durable components, but this benefit comes at a cost. Normally, gas-powered washers are reserved for commercial use, whereas electric units favor the home user. Electric pressure washers often suffer from negative reviews for their build quality. That isn’t to say that they are not good products, but unfortunately some consumers expect quality that’s on par with gas models. As they are not expected to suffer from many bumps and knocks in a home environment, they don’t need the same steel-reinforced components that most gasoline models use. However, what they lack in build quality, electric models make up for in their lower price tags. Gas-powered pressure washers are the norm for commercial environments, and so they need a design that will withstand these tough conditions. Most gas-powered machines are based around the same concept; a Honda engine mounted onto a tough and durable chassis, with 2 or 4 puncture-protected wheels for support. Also, many them use powder-coated steel for the chassis, or steel-braided hosing, for example. These components combine to create a very durable model. Based on the above examination of washer durability and design, we have no choice but to choose gas-powered pressure washers as the clear winner of this category. You pay a great deal more, but there’s no contest when it comes to sheer durability. Gallons Per Minute (GPM), Pounds per Square Inch (PSI), Cleaning Units (CU). GPM refers to the amount of water flow rate that is output by the device each minute, whilst PSI refers to the pressure and power behind the water jet. Both figures are multiplied together to create the CU rating, which is a measure of cleaning efficiency. The higher the CU, the quicker a pressure washer will complete the job. Electric pressure washers typically carry an average PSI of about 1,300 to 1,700, though the sometimes go higher. Their GPM is typically around 1.4 to 1.5. As a result, the CU rating of these washers often fall around 5,000 to 10,000 CU, at the upper limits. There’s no need to go higher for modest home tasks, though for big commercial cleans, these models will start to struggle more. Gas-powered pressure washers are more powerful than electric washers in almost every case, though sometimes it’s possible to get equally powerful machines. Nonetheless, gas-powered machines usually have a higher PSI of around 2,000 up to 4,000 and GPM of around 2.5 to 4. This results in a greater measure of cleaning efficiency, which is to be expected from professional-grade, commercial pressure washers. For sheer cleaning power, there’s no contest; gas-powered pressure washers are capable of cleaning far more quickly. This is to be expected from their superior components, such as larger gas tanks, more powerful pumps and so on. There is a great deal of variance in the size of pressure washers, not just between the two electric and gas-powered categories, but within these categories, too. Size and weight is an important aspect to consider when purchasing a washer, as it will limit the freedom of movement during certain cleaning tasks, as well as the storage options available. Electric pressure washers have far less load than gas-powered pressure washers. Thanks to an engine-based design that always used in gas-powered washers, this is the rule, not the exception. As a result, electric washers are easy to carry when navigating cleaning tasks such as cleaning vehicles and fences. The usual mode of operation is to carry the washer in one hand, whilst operating the wand with the other. As mentioned above, these pressure washers are usually mounted on a durable chassis that uses heavy-duty tires. This is because they are large, heavy models that can’t be carried by hand; they need to be pushed like a cart. Though this design is unavoidable due to the professional-grade components used in the design, it does mean that they are harder to use than electric pressure washers. When not in use, you’re going to need somewhere to store your pressure washer. Electric-powered pressure washers are the winner of this category, but only marginally. Sure, they’re far s​maller and easier to store as a result; however, gas-powered machines are almost exclusively used in commercial environments, where storage is almost always less of a concern. So, electric machines win this category on their far superior and less restrictive weight. It seems a little unfair to compare the two types of pressure washer in many cases, as the general design of gas-powered machines means that it will win over most categories. As a result, we’ve also considered general practicality, including transportation, delivery, and maintenance. These models are very practical. They often feature collapsible designs, meaning that they can be folded down into a smaller footprint. This is not only useful for storage purposes, but also for transporting in small cars and vans, and for delivery from couriers when a new model is purchased. Aside from detergent, they don’t require upkeep in the form of gasoline or oil, too. Gasoline-powered pressure washers score less well in this category. Delivery of a new model is often quite tricky, as many carriers won’t have the equipment to bring the unit to your door. They can’t be collapsed and must be stored upright to prevent leakage of oil, which can damage the machine. They also require constant maintenance, in the form of gasoline and oil refills. Electric pressure washers win this one, with their small build, lightweight design and collapsible designs. These features make them easy to store, transport and keep running reliably. Based on the above, we’ve scored 2/4 of the above categories to gasoline-powered pressure washers, and 2/4 to electric pressure washers. Based on the features that we’ve covered, despite the score being 2 for 2, the clear winner is still the gasoline-powered pressure washer. However, electric-powered models do have their place. If convenience and practicality is your main concern, then you aim for an electric model. Otherwise, gas-powered units are perfect for getting the job done quickly and tacking tougher stains.